Can you add a "do you want to quit" warning? I accidentaly pressed esc and now all my progress is gone and so is pretty much my will to live. Love it! All my game music is made with this. (So far.) The editor is accessible, but deep. Couldn't make it better if I tried. Couldn't say. 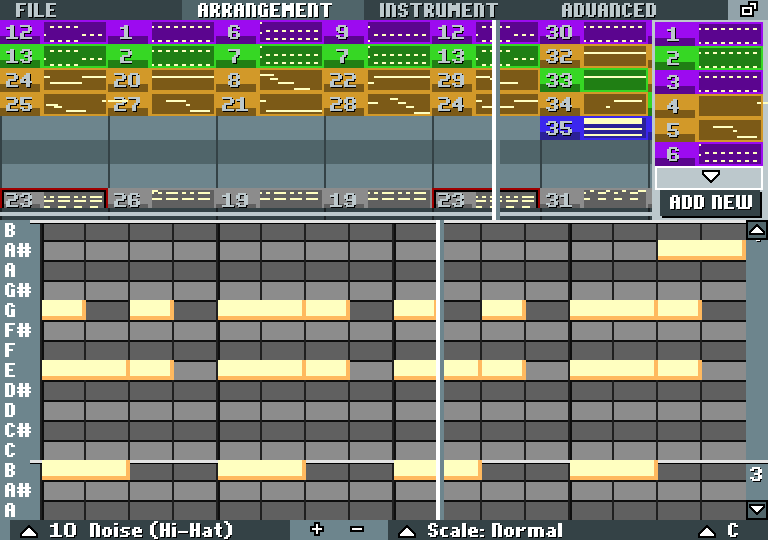 Look in the chiptune section, it has lots of beeps and boops. It is cool! Please, add sampler and advanced effect mastering. Then it will be perfect. This is amazing! Thank you Terry! I would adore undo functionality and/or a one-click save feature (or Ctrl+Z/Ctrl+S would be amazing too). When I click to save, it asks me to navigate from my desktop folder each time. For now, I've added a shortcut from my desktop folder to my Bosca Ceoil music folder, to make saving faster. I like to save my work often! it's amazing, made a buncha music for my undertale-like game, and can u do the same thing, but with real sounds? Pressing Alt causes the program to go into a state where it freezes for a few seconds after any mouse movement. I'm having trouble saving. I export the file, but then it's not in the folder, and I can't prod it to save into the folders I want it to save into to start. Then it can open the file, but I can't find it in the folder that it says it's saving into. I'd installed it through the itch.io app. Bosca Ceoil Means "Music Box" In Irish And You Are Irish!!! Oh wow I definitely need to check this out! Great application for developing music! 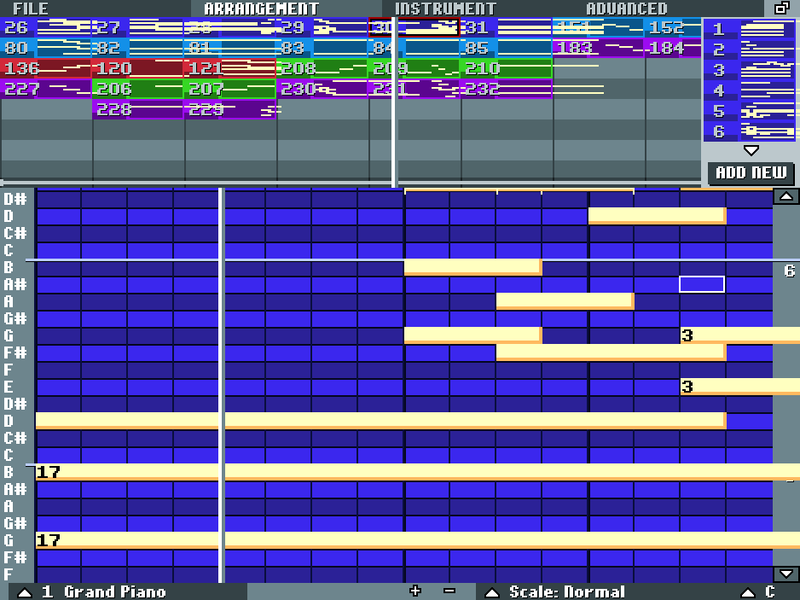 A question though, how do you remove instruments and patterns(arrangements)? Though they do not effect the sounds and patterns, what so ever, they do take up UI space and makes navigating both the instruments and patterns more difficult. A possible "conflict" in the removal of an instrument is the case where targeted instrument is in-use. You could probably handle this by defaulting all patterns using the instrument (no longer available) to the another instrument (possibly the instrument in slot one). Another possible "conflict" is the removal of all instruments, which can be dealt with by defaulting to the piano instrument. In the patterns case, you ought to simply remove the pattern from arrangement if they are no longer available; a lot more simpler (maybe). 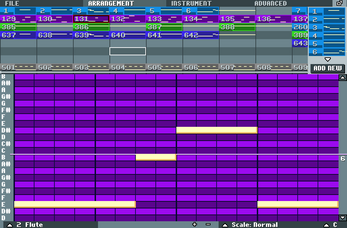 And while we're at it, though not necessary, rearrangements of instruments and patterns would be cool. I haven't taken a look at the source yet, but hopefully shifting data up and down isn't too difficult. But even without the above, the application still works. It's just tedious to explain the partners that those were instruments or patterns that were once consider but abandoned and could not be removed from the list (And that brings up aliasing for the list... guess that would be asking for too much). Thanks for the cool tool. I just had the very same question (removing patterns) and after some experimenting I found out that you can remove pattern by dragging them into the lower-right corner of the tool. Simply click and hold on an entry in the patterns list, then the delete button appears in the bottom-right and you can drag it onto that button to delete it. Whenever I try to make different sounds it automatically changes the whole entire song into the same sound. Can you add a ctrl + z function that rewinds an action, i've deleted notes that I wanted to place back and I keep hitting ctrl + z to go back but it doesn't work. Can you plz make it where you have unlimeted notes. An amazing application to make quick pieces of music! Couldent imagine not being able to use this! Note to Linux users: forget the Linux version; get the Windows version and run it with Wine. Unfortunately I didn’t find this tool as easy as some other people said, but I’ll try again later. 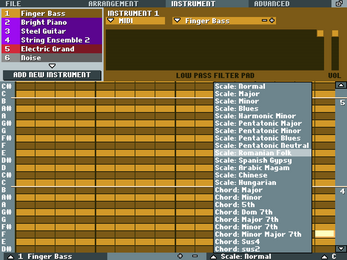 Notably missing from the tutorial is an explanation for the "scales and chords" feature. Gotta say, I really love this. Although I used to use Logic Pro X in the past, I've found most other music software to be complex to me, but this is extremely simple to use yet versatile. Are we free to use the music we make with this in our own games, personal or commercial? I wished more people who are actually able to produce music with it would make videos or even tutorials. there are barely 5 videos on youtube. I gave this software you made a go for around 10 minutes. I can proudly say I am thoroughly impressed with the work you have done! 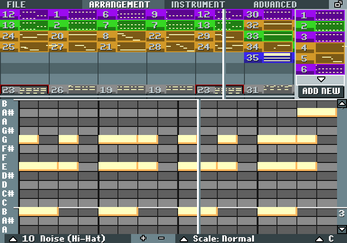 It is very easy to use; I have never composed music before so being able to pick up a piece of software like this and use it to make some very decent, stylised music is simply amazing. In five minutes (by just following the tutorial) I made a nice litte music ! My first music. Great app ! Thank you ! I've been making computer music for 10 years. I've been playing with this program for 10 minutes and I LOVE IT. 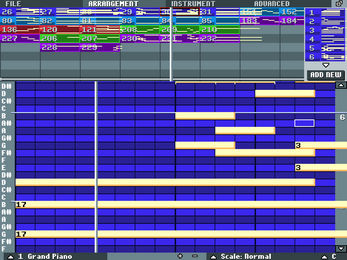 Thanks so much for making this, this is the best tool for making digitized music I've ever used! 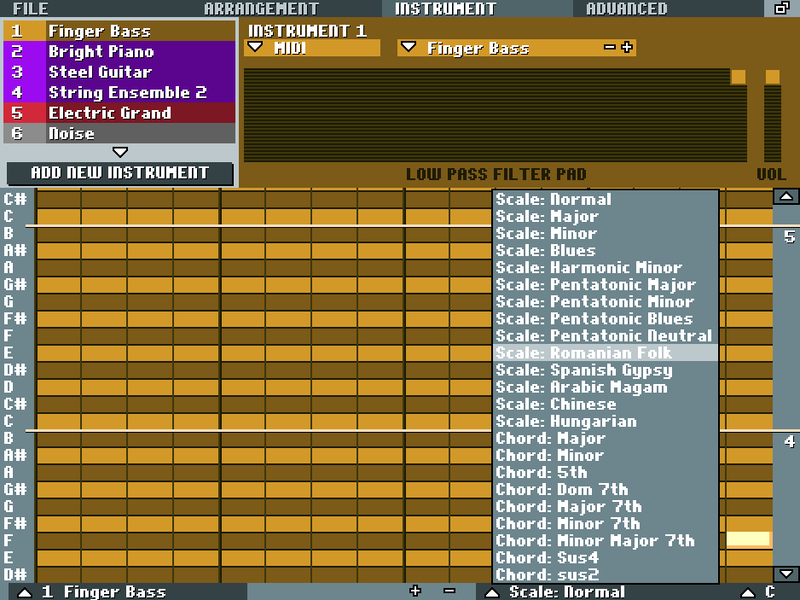 Have you ever considered adding MIDI keyboard support? This program is exactly what I wanted all this time! An easy way (for a beginner) to make music without needing one of those MIDI keyboard things! Thank you so much! I'm going to test drive it at this weekend's Ludum Dare 35. Can you add live play, when you click the mouse to add the note, it plays it? About time, this is simple and appears to be fun. I donated, many thanks! !